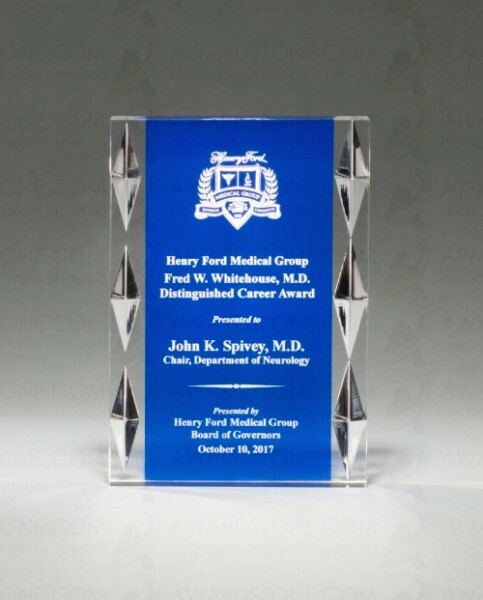 Freestanding acrylic award with blue background and carved jewel accents. 1Ó thick clear acrylic. Individually gift boxed. 5" x 7"